Denver had high hopes when they drafted quarterback Paxton Lynch in 2016. So far, those hopes haven’t been realized. The Denver Broncos may have another season of less than stellar quarterback play in store for 2017. 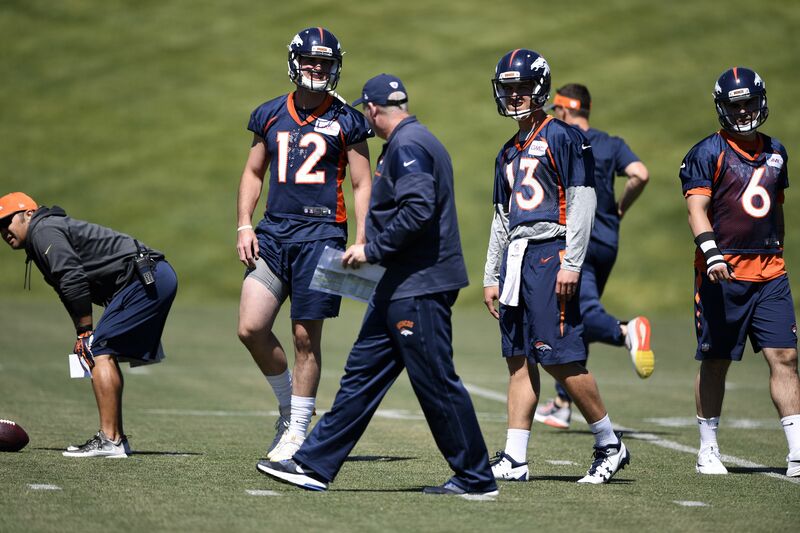 The hope was former first round pick Paxton Lynch would be able to take a significant step forward in training camp in his second year, but he’s been unable to do so early in camp. According to a report from Yahoo Sports that hasn’t happened yet. Lynch appeared to be overwhelmed when he saw the field in 2016. In two starts and one appearance, he completed only 59 percent of his passes for just two touchdowns and one interception. This kind of stat line is not uncommon for rookie quarterbacks not named Dak Prescott. Also, Lynch was coming from a small school(Memphis) so a transition period was expected. While it is still early in camp, it’s certainly discouraging to see Lynch not doing well if you’re a Broncos fan. They have one of the best defenses in the NFL in place. They have a pair of excellent wide receivers in Demaryius Thomas and Emmanuel Sanders. General Manager John Elway saw Lynch as the quarterback of the future to fit the components already there. It isn’t time to start talking about Lynch as a bust quite yet. The problem is incumbent quarterback Trevor Siemian is nothing more than average.In 2016, Siemian completed 59.5 percent of his attempts and had an 18:10 TD: INT ratio. Lynch shouldn’t need to be a world beater to take this job. If Denver is forced to play Siemian, he will definitely cap what the offense is capable. Denver has gone from Super Bowl champion to fringe playoff contender in startling fashion. It’s a referendum on just how important the quarterback position is in the NFL. Elway needed to find a replacement for retiring Peyton Manning. If Lynch doesn’t start turning the tide soon, it could set back the franchise in a major way.